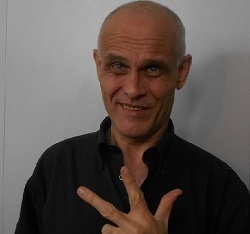 WE DO NOT SELL PRODUCTS: WE SELL SOLUTIONS! Each product has more value than you expect. The Be72 is designed to simplify the user experience. Each Bernini Design product is designed in a way that you can wire the modules in a few minutes. Once we design a products it remains on the market for at least 25 years. We still manufacture controllers launched in 1984. We have as much as 500,000 controllers running worldwide 24-7-365. We support you installing the product thanks to our experience about thousands of applications worldwide. We have a giant data base of troubleshooting examples. We solve your problems in 5 minutes. ARE YOU OEM? DO YOU NEED A PRODUCT TAILORED TO YOUR NEEDS? 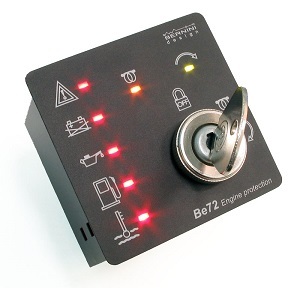 The Be72 provides Manual start for engine-driven applications. Automatic fault protections include: Engine low oil pressure, High Temperature, Emergency and Belt break. 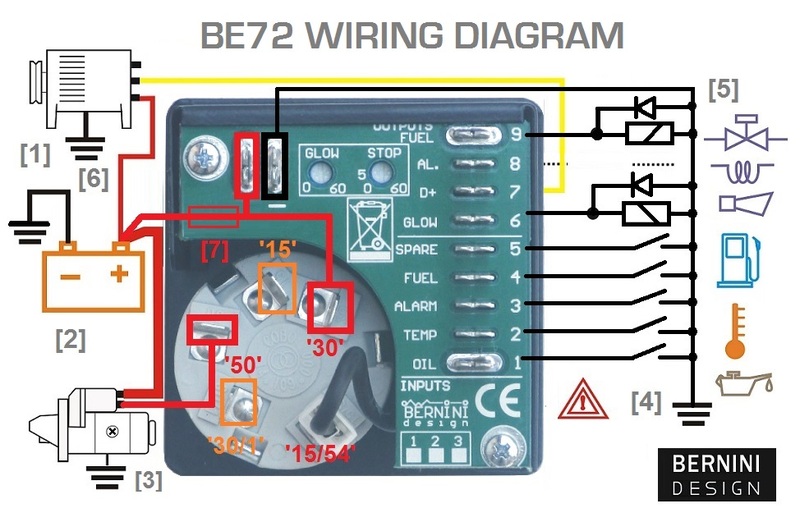 The Be72 provides the following outputs: Start, Stop, Preheat, Alarm and Fuel solenoid. 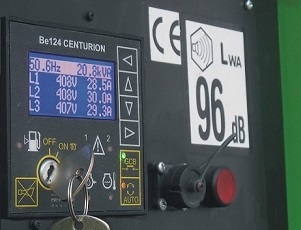 Be72 features a power switch (30A current) to energize the starter. All functions are indicated by means of 7 LED indicators. A) - Turn the [KEY-switch] clockwise to [PREHEAT] position until all LEDs illuminate. B) - Wait until the only [OIL PRESSURE] and [CHARGER FAILURE] LEDs remain illuminated. If the [PREHEAT] timer is set, the yellow LED [PREHEAT] will illuminate according to the setting of the potentiometer (adjustable on the back from 10 up to 60 seconds). C) - As soon as the green [ENGINE RUNNING] LED starts blinking, turn the key switch clockwise up to the spring-loaded momentary position. Hold this position until the engine starts. The [ENGINE RUNNING] LED will blink for a period of about 15 seconds. If the engine does not start within this period, the [STARTING FAILURE ALARM] will take place. D) - To stop the engine, turn the key switch fully counter clockwise (Off position). In order to stop the engine, we recommend that you use a FUEL SOLENOID energized to run connected to the output #9 via a pilot (driver) relay. 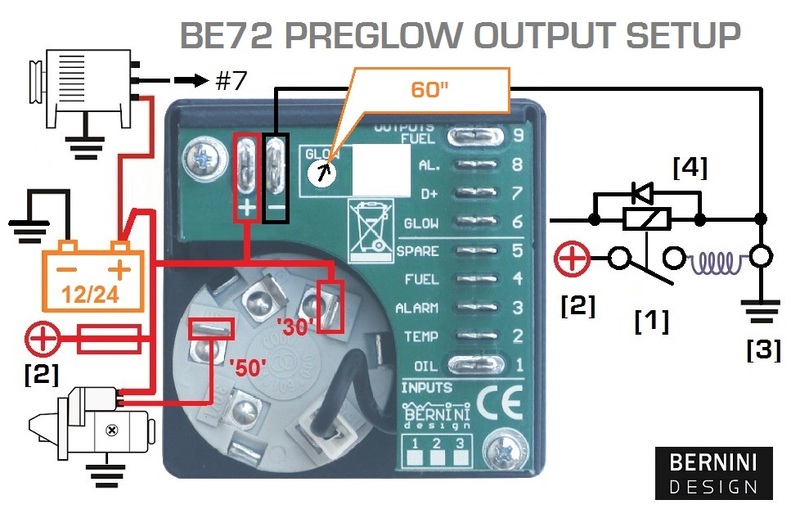 If you use a STOP SOLENOID, energized to stop, turn the potentiometer on the back fully clockwise and connect the STOP SOLENOID to output #8 via a pilot (driver) relay as indicated in the wiring diagram. The BE72 will provide a 60-second stop cycle for output #8. When you use the output #8 to drive a STOP SOLENOID, the ALARM function output will not be longer available.